US LED manufacturer Luminus Devices has signed a licensing agreement with Taiwan's Forepi to allow the use of Luminus' PhlatLight chip technology to produce blue and green GaN LEDs with smaller chip sizes (power LEDs Not more than 1mm 2 ), the power is average. Luminus produces ultra-high power LEDs on large 4-18mm 2 chips. Alexei Erchak, CTO of Luminus, said that the company had completed a funded 19 million project last month and is now focusing on large-size LED chips to increase capacity and yield. About PhlatLight technology, Luminus has 40 patents and more than 100 applications are on record. The license is not one-to-one. It only acquires chip technology and does not include packaging technology. It is foreseeable that Luminus is unlikely to license its large-scale chip technology. 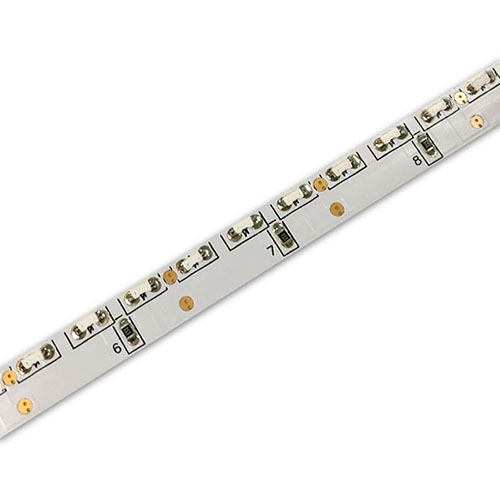 a. LBY Led Strip used high output 335 LED with good color conformity. b. Our flexible PCB are all high quality double layers FPC, at least 2 ounces, or 3 ounces in particular models. d. CE, RoHS and UL certificate.